Get Away & Play (Tennis) in the Caribbean! November 5-10, 2018 will bring in over 100 athletes from around the world to the beautiful, vibrant island of Anguilla for the second annual Anguilla Cup Tennis Championships. Anguilla Cup will feature both adult and junior (ITF) sanctioned tournaments, as well as a week full of socials, networking and a pro exhibition match! 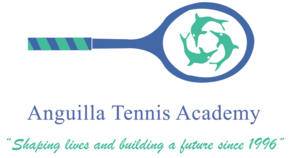 The tournament will be played on hard courts at the Anguilla Tennis Academy and consists of numerous events for each age group. Junior players can compete in enter singles or doubles in the U18 draw; and adults have the opportunity to compete in singles, doubles or mixed doubles. the adult championships will also be divided into four tiers: Open, A group, B group and Fun (recreational). Taking place from early to mid-November each year, the Anguilla Cup Tennis Tournament is hosted on Anguilla as a stop on the Caribbean Cup Tennis Series for the International Tennis Federation. For more information on the Anguilla Cup Tennis Tournament and what makes it such an incredible spectacle to take part in or to watch during your stay on Anguilla, read on below! The third annual Anguilla Cup, an exhilarating week of outstanding tennis, will once again take place at the beautiful Anguilla Tennis Academy (ATA) from November 4 - 11, 2018. Sanctioned by the International Tennis Federation (ITF), the Anguilla National Tennis Association, (ANTA), and the Central American and Caribbean Tennis Confederation (COTECC), this exciting tournament is part of the Caribbean Cup Tennis Series, organized by Sports Travel Experts. Anguilla’s embryonic sports tourism drive got a much-desired boost when the 2018 Anguilla Cup tournament opened with an exciting pro exhibition match at the Tennis Academy on Sunday, January 14. The two exhibiting players were leading international tennis professionals: Jessie Flores of Naples, Florida, and Xavier Malissie of Belgium. The Anguilla Cup was originally scheduled for November 2017, but had to be postponed due to Hurricane Irma. The tennis event is the result of a dynamic partnership initiated by the Anguilla Tourist Board with Sports Travel Experts; the International Tennis Federation; the Anguilla Tennis Association; the Anguilla Tennis Academy; and the Department of Sports. The exhibition match was a prelude to the Anguilla Cup Tournament from Monday to Saturday this week. The tournament is part of Sports Travel Experts Caribbean Cup Tennis Series which currently includes Anguilla, Antigua, Barbados, Cayman Islands and Jamaica. The event has attracted a number of players, coaches, tournament officials and guests to Anguilla from all over the world. The Hon. Parliamentary Secretary, with responsibility for Tourism, Sports, Youth & Culture, Mr. Cardigan Connor, was among the speakers at the Anguilla Cup exhibition match. THE VALLEY, Anguilla — A press conference to announce the official opening of the second annual Anguilla Cup was held at the Anguilla Tennis Academy on Sunday, with representatives from the ministry of tourism, the Anguilla Tourist Board (ATB), tournament management Sports Travel Experts, the Anguilla National Tennis Association, (ANTA), the Anguilla Tennis Academy (ATA) and the Department of Sports on hand to express their support for the event, and welcome the participants from around the world. Junior tennis players from as far away as Norway and Japan have traveled to Anguilla for the Anguilla Cup, taking place this week, with a total of 70 players, accompanied by parents, coaches and tournament officials on the island for this ITF sanctioned tournament, an inspiring testimony to the island’s remarkable recovery from the impact of Hurricane Irma last Fall. The Valley, Anguilla, January 2, 2018…..The Anguilla Tourist Board is pleased to welcome the second annual International Tennis Federation (ITF) Junior Championships, which will take place at the Anguilla Tennis Academy from January 13-20, 2018. This tournament is the result of a dynamic partnership initiated by the Anguilla Tourist Board (ATB) with tournament management Sports Travel Experts, the International Tennis Federation (ITF), the Anguilla National Tennis Association, (ANTA), the Anguilla Tennis Academy (ATA) and the Department of Sports. This tournament, a part of Sport’s Travel Expert’s Caribbean Cup Tennis Series, ensures Anguilla’s place on the circuit, which currently includes Jamaica, Cayman, Barbados and Antigua. Anguilla will once again become the Caribbean’s tennis capital as it welcomes over 200 coaches, players and their families from around the globe, to participate in the 2018 Anguilla Cup. “The Anguilla Cup aligns perfectly with our strategic decision to develop and promote Sports Tourism as a way of growing our visitor base, expanding our tourism product and empowering our local athletic communities,” said the Hon. Cardigan Connor, Parliamentary Secretary in the Ministry of Tourism. An Anguilla Tennis Academy (ATA) delegation led by Founder and President Mr. Mitchelle Lake attended the 2017 Rogers Cup in Toronto, Canada. The trip was organized by Mr. Karl Hale, Tournament Director of the Rogers Cup Tournament. There has been a very successful series of inaugural ITF Junior championships at the Anguilla Tennis Academy last week. The pleasurable but competitive events not only provided a great deal of publicity for the island, but also drew attention to the classy tennis academy at Blowing Point – created by the visionary Mr. Mitch Lake. The championships attracted players from some 30 regional, extra-regional and international countries. They comprised over 100 juniors and more than 35 seniors plus some 200 other persons including coaches, family members and supporters. ANGUILLA—Anguilla is hosting the International Tennis Federation (ITF) Junior Championships for a week starting on November 12 at the Anguilla Tennis Academy (ATA). The Anguilla Tourist Board in partnership with the ATA and the ITF are hosting the event. 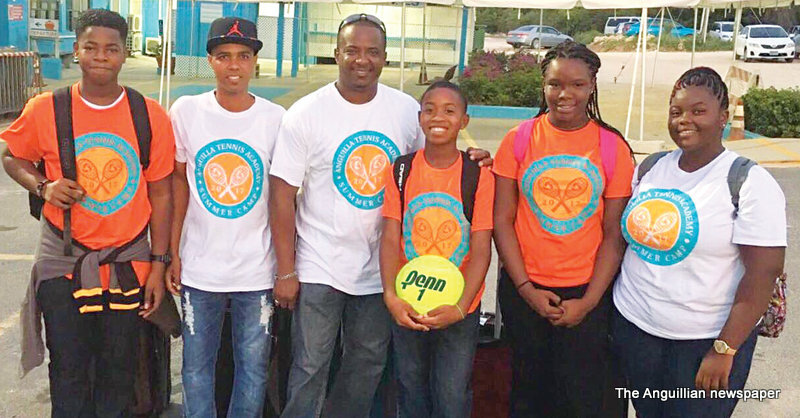 The Anguilla Tennis Academy (ATA) has announced that it has been chosen to host the International Tennis Federation Junior Championships from November 12 – 19. Over 200 persons, including players, coaches and supporters from around the world, will be coming for the tournament. 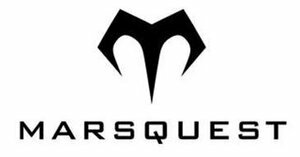 There will be 80 juniors competing, with 50 seniors in an additional event, plus coaches, parents and supporters.